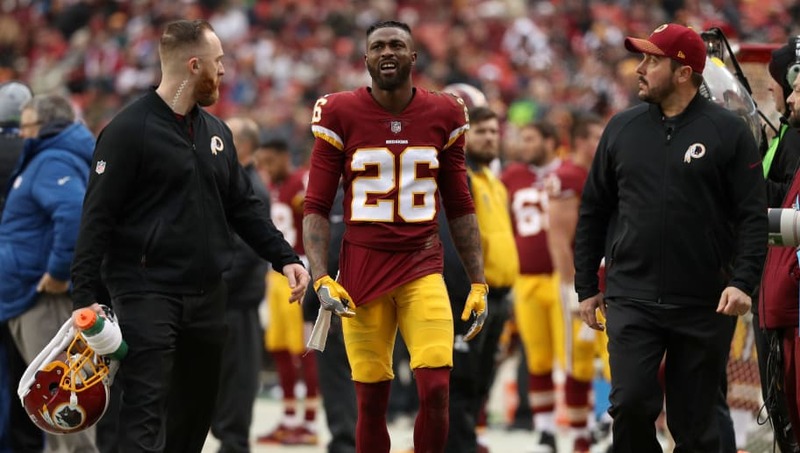 After placing cornerback Davon House on IR, the ​Green Bay Packers ​added some much needed secondary help with the signing of free agent Bashaud Breeland, who spent his previous four seasons with the Redskins. If it all pans out, the Packers might've just robbed the free agent market with this acquisition. ​​Breeland initially signed a three-year, $24 million contract with the ​Carolina Panthers on March 16, but the contract was voided after a foot infection made him fail his physical. If the five-year cornerback hadn't hurt his foot, he would've been receiving $8 million per year from Carolina, but instead the Packers will only have to pay Breeland a base salary of $790,000. For the amount of money that Breeland signed for, the Packers paid him a lot less than what the rest of the league, or at least the Panthers, viewed him at. ​​While the deal makes financial sense, it also provides a cushion for rookie cornerbacks Jaire Alexander and Josh Jackson so they don't have to be thrust into a staring role this early in their careers. Either way, the Packers showed the rest of the league how landing free agents at a discount price is truly an art.